Before we get to my review of the second half of The le Carré Omnibus – i.e. of John le Carré's second novel, A Murder of Quality – and that great quote about George Smiley I promised, I thought I'd draw your attention to something divertingly daft I stumbled upon whilst tweeting links to my review of the first half of the omnibus – i.e. Call for the Dead. And reader, it's the kind of diverting daftness that has the potential to keep us all entertained for, ooh, minutes. As I often do with the authors I write about, upon the first full mention of le Carré's name in that Call for the Dead post I linked his official website. 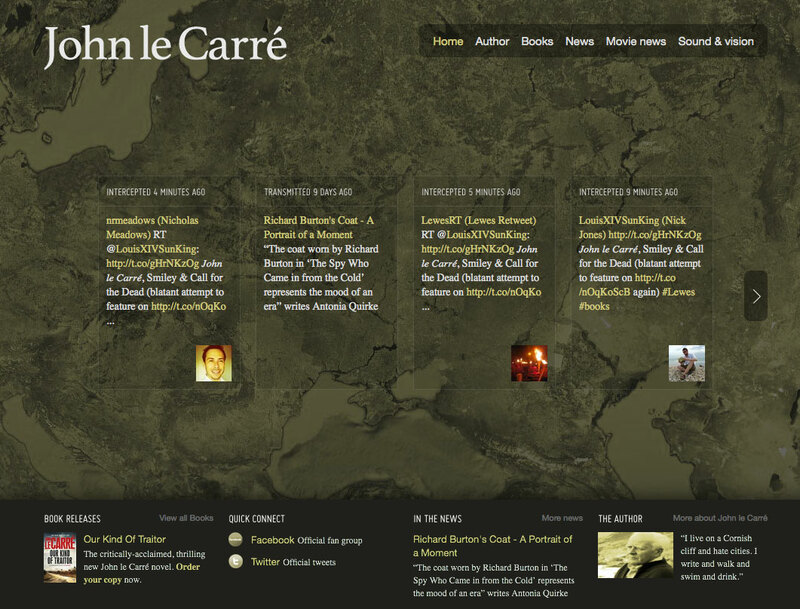 I must admit I only gave the site a cursory glance when I did so, but then later, once I'd published the post and tweeted about it, I clicked the link to check it was working OK... and discovered that my Twitter links to my post were now prominently displayed on the johnlecarre.com homepage. 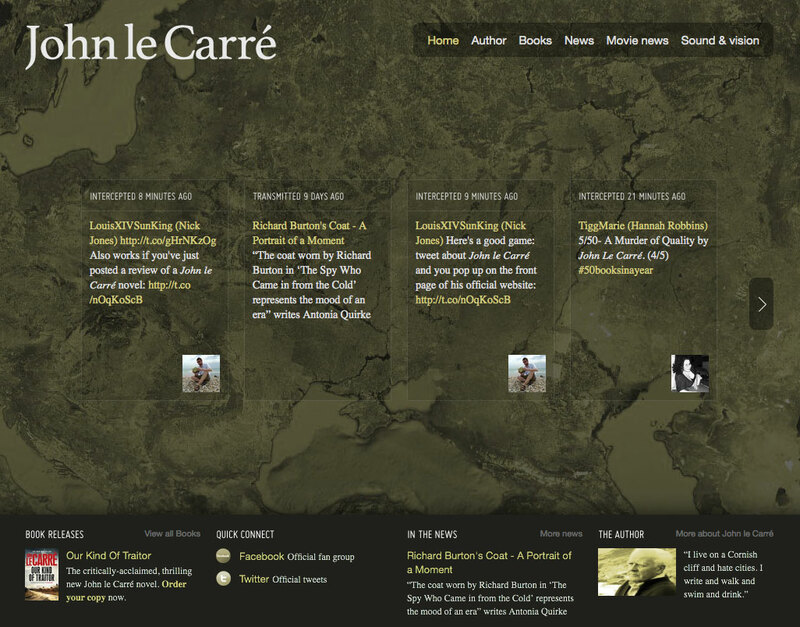 Seems some enterprising soul has set the John le Carré website up so that any time the author gets a mention on Twitter, that mention is "intercepted" – to use the site's own appropriately espionage-y nomenclature – and pops up on the homepage, complete with the tweeter's profile picture. In the process enlisting the unwitting aid of fellow Twitter users Nick Meadows and Lewes Retweet. And indeed it appears to be the case. 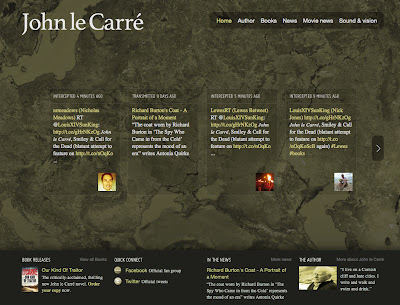 It's a fun little aspect to the website... but it strikes me it does rather leave the site open to misuse... by, say, any other silly buggers – I mean, Twitter users – who happen see this post and decide to tweet their own daft John le Carré messages and then take screengrabs of those tweets once they appear on the le Carré website and email those grabs to me so I can collate them all in a future post.